For anyone intent on leaving the tourists behind, Friuli-Venezia Giulia must be one of the first stops on Italy’s map. Despite its location just a couple of hours from Venice, the region remains largely undiscovered by tourists despite its elegant architecture, diverse landscapes and a 12th century Basilica that boasts one of the greatest Roman mosaics in the world. After 500 years under Austrian rule, the region became part of Italy after World War I. Given its complex history and its location bordering Austria, Slovenia and the Adriatic Sea, it is perhaps unsurprising that this is a region with a very distinctive local cuisine and one that also happens to produce some of Italy’s finest white wines. Geographically, it is hugely varied, ranging from its Adriatic coastline to the Friulian Dolomites, generally considered the most unspoilt of the Dolomites mountain range. Lakes, valleys, protected areas and a coastline dotted with lagoons make it a delightful region for walkers. Along the coast and to the west of Monfalcone, there are some long sandy beaches and several tourist resorts, while the coast between Monfalcone and Trieste is mainly rocky. More Viennese than Italian, café culture pervades the elegant streets of the regional capital of Trieste where you can pop into a literary café for a cappuccino and slice of sachertorte. The region also scores top marks for its natural attractions. Much of the region can be explored by walking: there are plenty of nature reserves and some excellent hiking trails, including those in the Carnic Alps in the Dolomites, and in the Julian Alps. 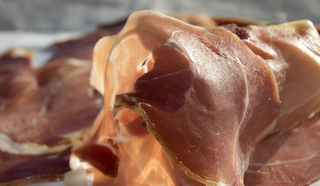 San Daniele del Friuli, just outside Udine, is one of the ham capitals of the world while elsewhere, the region’s food is as varied as its landscape. Venetian influences appear in seafood dishes while distinctly Germanic traditions emerge in the form of cabbage soup and the hearty local dish of porcina (boiled pork, sausages, sauerkraut and mustard). The local Montasio cheese is used in several dishes, combined with shredded potato to form frico, a crispy fried snack, or a soft potato pancake. For dessert, strudel, fruit cake and gubana, a pastry shell stuffed with dried fruit, all appear on menus. Strucchi are also a speciality, soft pastry rolls filled with nuts and grappa-soaked currants and raisins. 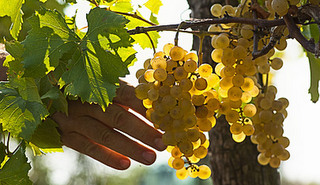 The region produces several world-famous wines, including Friulano, Ribolla Gialla and Malvasia, and is also renowned for its traditional and flavoured grappas. Visit Trieste for its fascinating mix of ethnic influences - take your pick from Greek Orthodox, Serbian Orthodox and Helvetic Evangelist churches or one of the largest synagogues in Europe. City highlights include the view from the waterfront cafés on the Canal Grande and pottering in the antique shops in the narrow lanes of the Jewish Ghetto. 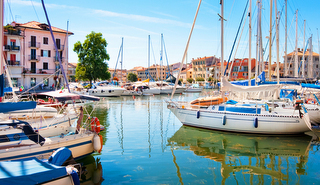 While Trieste is the region’s capital, Udine is generally considered its cultural capital. Wander through the maze of tiny piazzas, visit the Gothic Duomo and the Museo Diocesano to see works by Giambattista Tiepolo and climb to the city’s castle which houses the city’s 13-room Galleria d’Arte Antica. 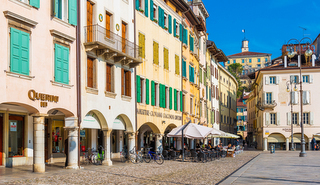 Other Friulian towns of note include Gorizia, for its medieval castle and cathedral; Pordenone, where there are churches, palaces and a magnificent main Corso, lined by Venetian porticoes; and the Unesco World Heritage city of Cividale del Friuli, famous for its Lombard history. A short drive from the seaside town of Grado, Aquileia was once one of the richest cities of the Roman Empire. Today, a vast archaeological site and magnificent Basilica makes the town a fascinating stop in this hidden corner of Italy. Head underground into the Grotta Gigante, reputedly the largest tourist cave on earth. 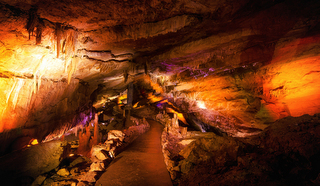 Considered to be around 10 million years old, the cave is an astonishing 280m long, 65m wide and 107m high. Clock watching takes on a whole new meaning in the village of Pesariis in the eastern Dolomites. Clock production took off here in the 18th century and continues today but the village is also famous for its 14 huge clocks on its open-air ‘clock museum’ route. 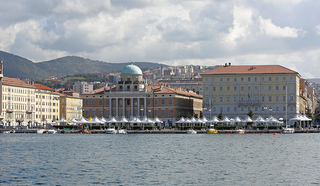 Literary greats connected to Trieste include Hemingway, James Joyce and his locally-born contemporary and friend, the Italian author Italo Svevo. Our Slovenia and Friuli tour features walks in the hills around Gorizia and visits to Cividale del Friuli and Aquileia. The tour ends at Venice Marco Polo airport: you may want to extend your stay to include a trip to Trieste, Udine or elsewhere in Friuli Venezia Giulia. 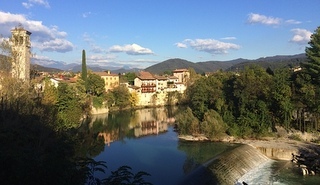 Alternatively, why not add a few days in the region to the beginning or end of our Austria and the Dolomites tour or our newest tour, Northern Tuscany and Ravenna which starts and finishes in Bologna. International flights are available to Trieste Airport (also known as Aeroporto Friuli-Venezia Giulia), to Venice Marco Polo and to Venice Treviso. Further information on the region from Friuli Venezia Giulia tourism office.